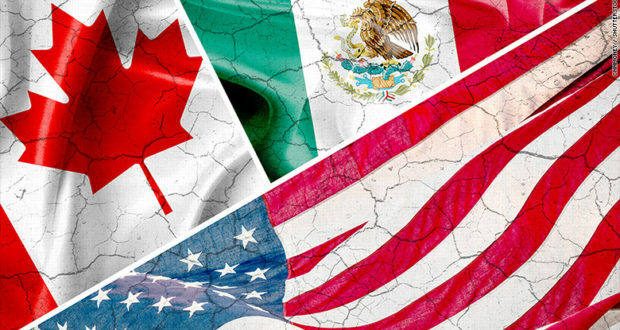 Mexican and Canadian officials met in Montreal this weekend to discuss proposals aimed to convince the United States to stay in the North American Free Trade Agreement (NAFTA). Chief negotiators will arrive Tuesday to begin the sixth round of talks, which are scheduled to end on January 29th. Proposals will start with agriculture, energy, and Trump’s demand to increase American-made content for cars manufactured in North America. The Trump Administration wants to increase the regional content of light vehicles from 62.5% to 85%, with half of all parts made in the US. Vehicles that do not meet these rules would not qualify for duty-free trade among NAFTA countries. Trump has also mentioned using NAFTA to make Mexico pay for the border wall. Canada and Mexico are both opposed to more US content in cars, although Mexico has suggested regional content could be increased to 70%. Canada would like to redefine what counts as “North American content” and is proposing R&D count towards the threshold required for duty-free trade. Canada is now demanding NAFTA dispute-resolution panels hear Canada’s case against US tariffs on lumber and airplanes. These panels are part of a resolution mechanism the US wants to remove from NAFTA. Canada’s “ill-advised attack” on the US will only “lower US confidence that Canada is committed to mutually beneficial trade,” warns US Trade Representative Robert Lighthizer, who will arrive in Montreal next Monday to close the talks. Canada’s case addresses longstanding grievances, but the timing of the complaint was “highly provocative,” says Edward Alden, a trade expert at the Council on Foreign Relations. NAFTA is a trade agreement that connects the US with Canada and Mexico. Implemented in 1994, it is the world’s largest free trade agreement. President Trump has called NAFTA the “worst trade deal ever made” and has threatened to pull out of the agreement if serious changes aren’t made. Negotiations began last August. Many lawmakers are still convinced Trump will decide to pull America out of the agreement – a move that could affect all three economies and cause widespread job loss. Consider North Dakota, which sends 90% of its exports to Canada and Mexico, and Montana, which sends more than 40% of its exports to Canada. The majority of these exports are food and gas. Montana Senator Jon Tester (D) is advocating for the creation of a public comment portal that would give his constituents an easy way to share comments about the trade deal. Can the Ten-Year Treasury Yield Be Used as a Stock Market Indicator?